For those of you, who are always curious about what new is happening in the cleaning branch and on the market, we have a special section for you and this is our blog section. Here you can find new, interesting, entertaining and also very helpful information to use for planning professional cleaning services hire better and also create and follow a simple, quick and easy cleaning routine that works best for you. Do you want to lead a healthier life? Do you want to know how to make the process more effective and enjoyable for yourself? 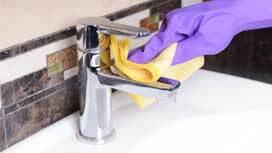 Do you want to learn some helpful tips and tricks and make cleaning faster? Do you want to save money, or to learn about the newest additions to the equipment and products market? Well, then simply keep an eye on our blog updates and you will be the total pro, we promise you that! With us, cleaning is fun and easy not only as a professional service but also in the form of interesting information! Our experts are constantly keeping an eye on what is new and advanced, testing and then sharing with you, giving their advice and recommendations and developing concepts to a superb level that works best for our domestic and commercial clients in Watford. Stay up to date with cleaning innovations, follow our blog! We all have been there, struggling with getting rid of the burnt on food from our pots and pans. While there is a food delivery as a solution for the hungriness problem, a real challenge is returning your messed up cookware back to its former glory. 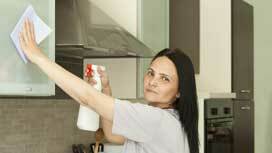 You have a team that visits you every week, or every other week to maintain your house extra clean, healthy and cosy. In order to enjoy your house sparkling clean until the next visit, you have to make sure to maintain it properly. Have you ever wondered how it is possible your kitchen to go from sparkling clean and tidy to a World War survivor in just a one-dish cooking time? Don’t worry, it happens to us all and it is not something that cannot be prevented and avoided. 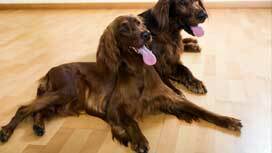 Spring is here, your pet is shedding like crazy and you are in the middle of a really “hairy” situation. Today we provide you with a few easy ideas for dealing with the shedding problem like a pro! Weekends sound like the best time for a thorough cleaning around the house or your workplace because you are free from all the responsibilities and tasks of the working week. Using condiments for cleaning purposes may seem like a bit weird to you, but this is a great, cheaper and green alternative to all the expensive (and often not that effective) cleaning products you can find on the market! Some of the most common house cleaning mistakes are revealed! Here you can find more information about how to change your cleaning habits and routine for good! 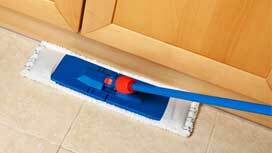 How long does it take a professional house cleaning service? When looking for a highly professional house cleaning company your expectations are reliability, trustworthy and loyalty, the time factor and the comfort of working with someone that respects your schedule is something you do not have to underestimate. 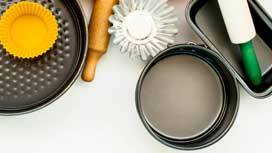 Kitchen cleaning starts with taking care of appliances and scrubbing them to perfection. A clean kitchen is a necessity and it helps a lot for a healthier home! 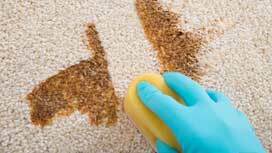 We provide you with a step-by-step guide to house speed cleaning for all those times that you need your house to look perfect in a few minutes, or you just cannot be bothered with spending more than half an hour on scrubbing and vacuuming. If you are wondering how to remove the food stains from your carpet, how to neutralise the odour in your refrigerator or how to get rid of the signs of corrosion left on the showerhead, the answer is use vinegar! We often call vinegar the natural multi-purpose cleaning product substitute, because it cleans particularly any kind of dirt from any kind of surface!